Do you own a salad spinner? Do you know what a salad spinner is? If you answered ‘no’ to either of these questions, we need to talk about how this one simple kitchen utensil can revolutionise your life. Owning a salad spinner doesn’t just mean you’re a real adult. It means you won’t be having any more soggy salad leaves or herbs in your life anymore. And you deserve well-washed, crisp yet dry leaves and herbs. Paper-towels? Tea towels? Nope, they just don’t compare to the vortex force of the spinner. A salad spinner will set you back as little as *$4 at IKEA - it’s a shame you’ve been missing out on this adulthood milestone for so long already. Drop everything and go buy a salad spinner. 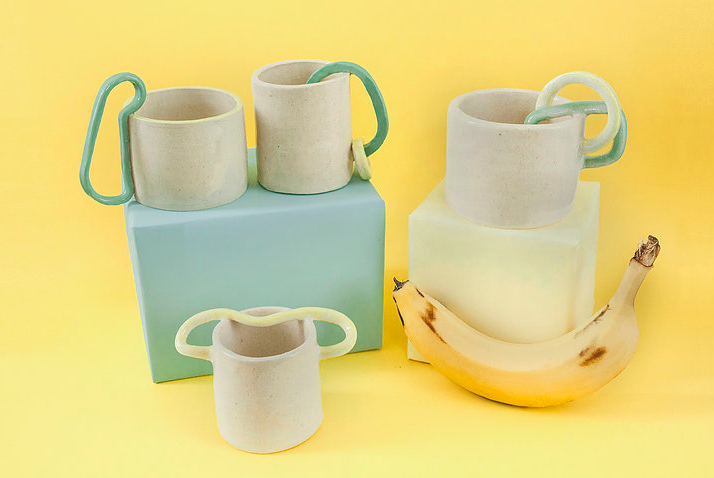 Wendy Ma is a Brisbane based ceramic artist and designer. She makes these super-fun and creative wares under the moniker Kaomoji - which as Wendy tells it "is borrowed from the Japanese art of using simple symbols and punctuation to convey emotion. She hopes her one off pieces can make you feel as happy as a message from your teenage crush." You can check out her instagram here. Wendy's one-off pieces can be acquired direct (PM her!) or from IMA Brisbane. Get along to her show at IMA on June 23 where she will showcase Kaomoji + her other creative project, collaborative jewellery label, Homejob.